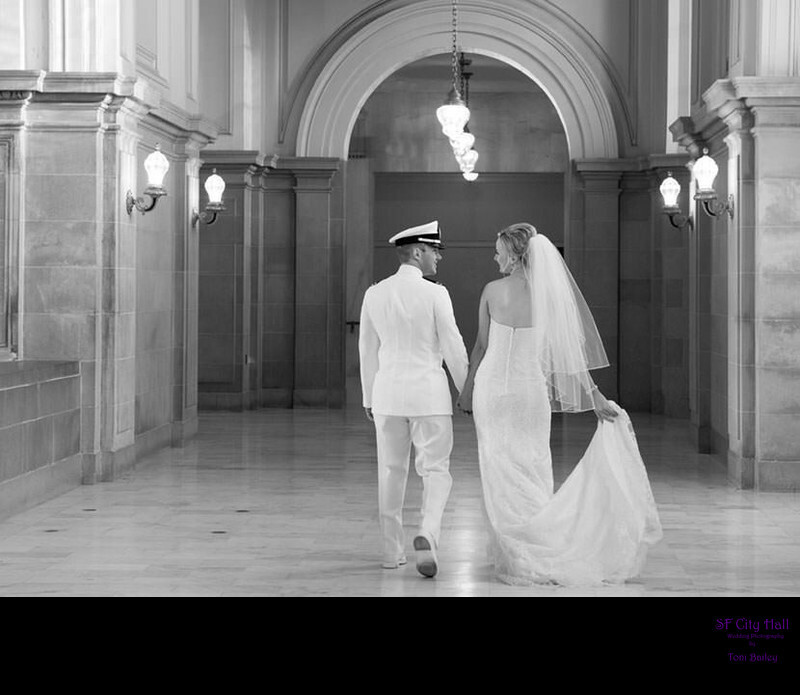 We offer affordable packages for your San Francisco City Hall week-day wedding starting at $495. To view our full price list, please click: City Hall Packages. We can also provide custom packages if you have specific needs or require additional coverage for your wedding reception or party. A beautiful wedding album is also another popular option we offer our customers. Prices range from $495 to $2995. City Hall weekend coverage costs slightly more for city hall, please inquire. 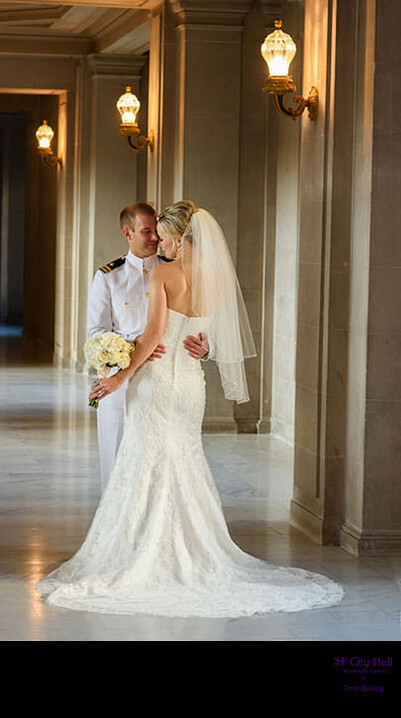 San Francisco City Hall is a beautiful place to have your wedding during the Christmas season. Most marriage ceremonies are held right in front of the Christmas tree. The photos on this page are from the same wedding. Michael and Amanda were an extremely romantic couple and we had a great time working with them. 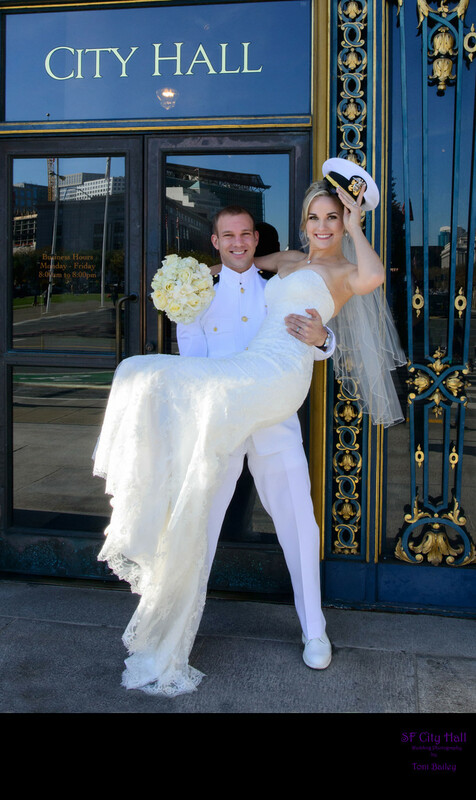 The top photo is from their wedding ceremony in front of the City Hall Christmas tree. The bottom shot was taken clear across the building from the third floor. We used a radio slaved flash behind the bride and groom to light up the veil and also create backlighting. The Bride and Groom did the rest! Mike and I thought it would be fun to recreate the "Officer and a Gentleman" movie ending so we created the pose above and to the left. To show the romance between the bride and groom, we put them in the pose above. Then we had them walk down the San Francisco City Hall 4th floor balcony and converted the photo to Black and White to give it a candid look. 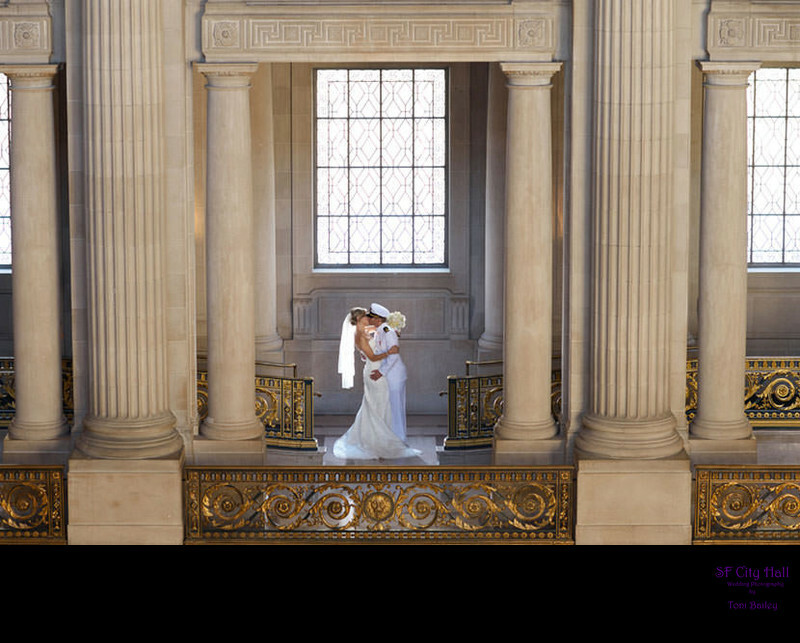 For more examples of our work please go to our other website for city hall weddings.